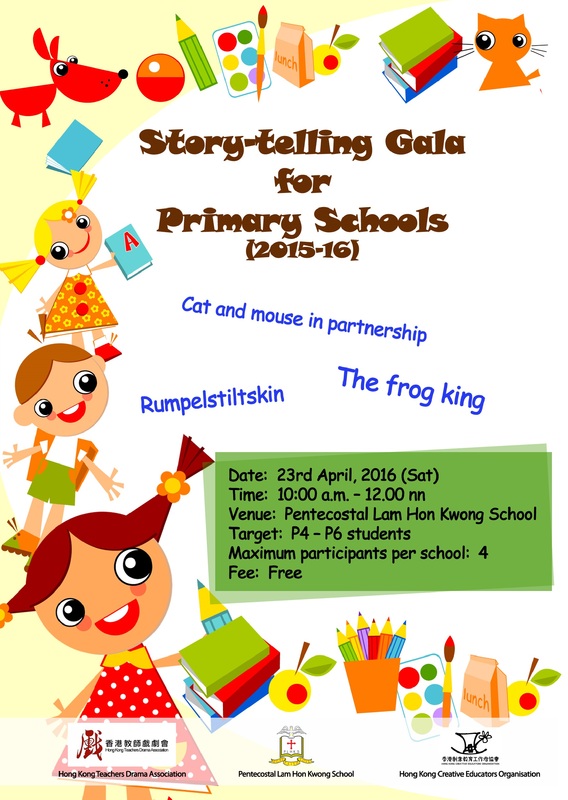 Jointly organized by the Hong Kong Teachers Drama Association, Hong Kong Creative Educators Organisation and Pentecostal Lam Hon Kwong School, the first “Story-telling Gala for Primary Schools 2015-16” gives participants a chance to revisit the classic and renowned Grimm’s fairy tales. The gala serves as a platform for participants to use English to act out the interesting stories in a genuine and engaged way. Participants are offered the chance to learn story-telling and presentation skills. 1. To enhance pupils’ confidence in using English. 2. 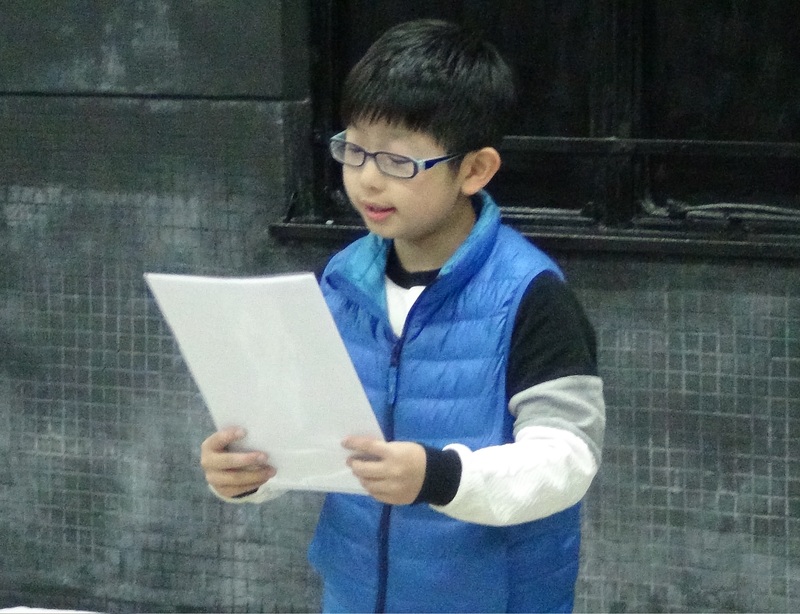 To give pupils the opportunity to use English in an interesting, authentic and creative manner. 3. To enhance and improve listening and speaking skills. 4. To instill in pupils an interest in reading and writing in English. 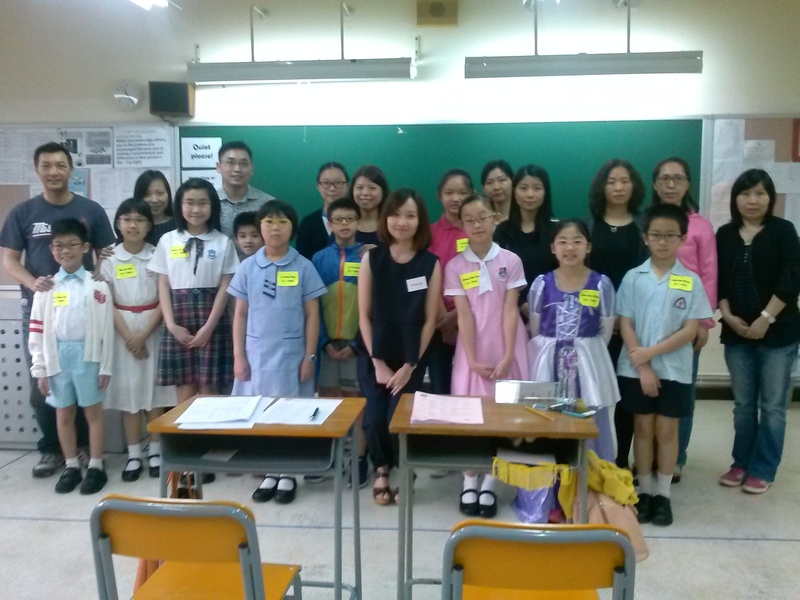 Students will be judged on vocal expression, including quality of voice, pronunciation, articulation, intonation, pace, etc. Students will be judged on visual expression including eye contact, gesture, posture, use of space, etc. Participants can decide whether or not their use of music, costumes, props, etc. will enhance the quality of their performance. No electronically produced sound effects are allowed. The story must be delivered from memory and any movement is confined to the performance area (approximately 16 ft wide x 8 ft deep). The audience is prohibited from giving any clues to the participants. Microphones will NOT be available for participants. The decision of the organizers on all matters arising from administrative issues and competitions, including the interpretation of the Rules and Guidelines, shall be final. The length of each presentation is 5 minutes. A bell will be rung when the time is up. Every 10 seconds past the bell will reduce the total score (out of 100) as marks will be deducted. Participants must use the materials provided. Otherwise, only comments will be given. Neither marks nor certificates will be awarded to him/her. Time: 09:30a.m. – 10:00 a.m.
*Part I and Part II are different. Students are encouraged to join both. Participants should report to the officials at least 30 minutes before the start of the event. All participants should sit inside the performing venue after the start of the event. Participants can be accompanied by teachers and parents. Teachers and parents are welcome to join the audience. However, seating priority in the performing venue will be given to the participants. Practice is prohibited in the performing venue after the start of the event. Anyone (including participants) who causes undue disturbance in the performing venue may be asked to leave the venue. If the person is a participant, s/he may only be given comments. Neither marks nor certificates will be awarded to him/her. The use of electronic devices is prohibited in the performing venue. The organizer will arrange photographers and video shooters for the event. Photo-taking and audio or video recording of any part of the performance is prohibited. People attending the event should take care of their personal belongings. The organizers will not be responsible for any losses. No parking spaces will be offered. Anyone suffering from a contagious illness must not attend the event. Tropical Cyclone Warning: If Tropical Cyclone Warning Signal No.8 is issued or still in force at 7:00 a.m. on 23rd April, 2016, the competition will be cancelled. Red or Black Rainstorm Warning: If the Red or Black Rainstorm Warning Signal is issued or still in force at 7:00 a.m. or afterwards on 23rd April, 2016, the competition will be cancelled.